Liveblogging Northern Voice 2009 – I’m EXHAUSTED! 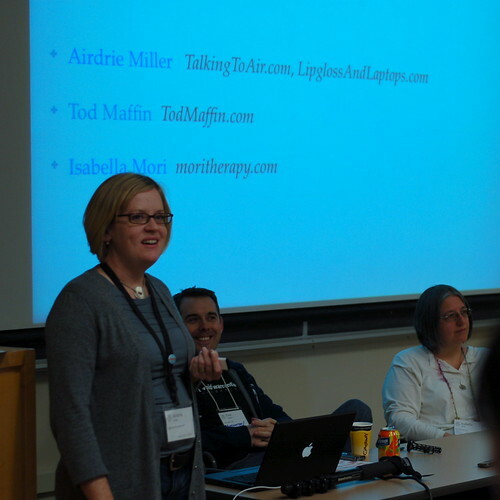 Northern Voice 2009 – The call for papers is out! Thanks for liveblogging this, Raul. Of all the talks at NV, this is the one I was really disappointed I would not get to see. Getting to read your live blog was a great way to get at least a little of the material. So how can we continue this conversation post #northernvoice09? It seems like we ran out of time to discuss stigma after the introductions of the panellists (not complaining – completely appreciated each story – just want to get to the stigma issue) Can we affect social stigma through social media? If so, how? Thanks for live-blogging, Raul. I love that you incorporated the tweets. We will continue this discussion over at http://www.moritherapy.org/. fabulous, and thanks so much, raul! coveritlive is cool! yes, there was not enough time. thinking about how to do something similar next time, or maybe even sooner?